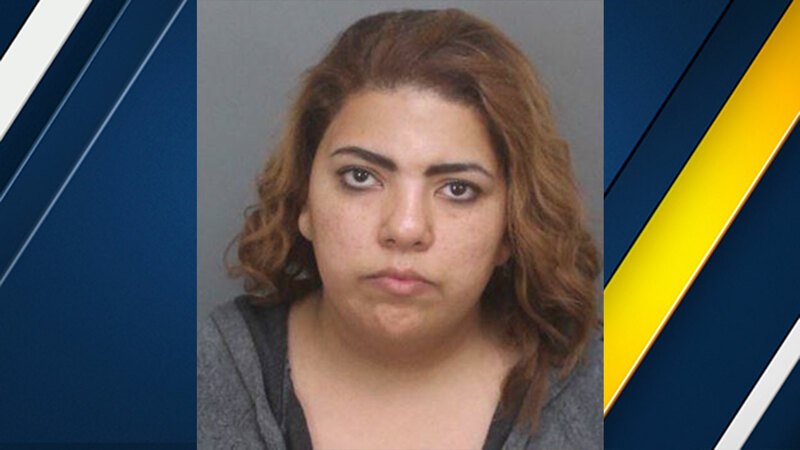 ONTARIO, Calif. -- Ontario police arrested a 31-year-old woman for allegedly leaving her young daughter in a hot car while she shopped at a Target store. Police say good Samaritans called 911 on Tuesday at 6:17 p.m. after noticing a young child left alone in a hot car with the engine off and windows only slightly open. The 2-year-old girl appeared to be sweating heavily and in distress, police said. Officers entered the car and removed the child from a car and got her medical treatment at a local hospital. She was then released to Child Protective Services. The child's mother, Samar Mansour Mari, 31, was arrested when she left the store and returned to the car. She was booked for cruelty to a child.